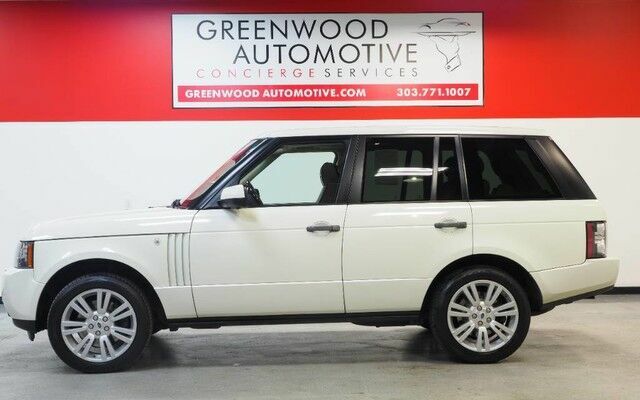 Contact Greenwood Automotive today for information on dozens of vehicles like this 2010 Land Rover Range Rover HSE LUX. This 2010 Land Rover Range Rover comes with a CARFAX Buyback Guarantee, which means you can buy with certainty. The Range Rover HSE LUX doesn't disappoint, and comes with all the quality and understated opulence buyers have come to expect from the respected Land Rover marque. A truly versatile SUV, this vehicle will please even the most discerning of buyers. Pull up in the vehicle and the valet will want to parked on the front row. This Land Rover Range Rover is the vehicle others dream to own. Don't miss your chance to make it your new ride. This 4WD-equipped vehicle will handle majestically on any terrain and in any weather condition your may find yourself in. The benefits of driving an Four Wheel Drive vehicle, such as this Land RoverRange Rover HSE LUX, include superior acceleration, improved steering, and increased traction and stability. This vehicle has extremely low mileage on the odometer, so while it's pre-owned, it's practically new. Added comfort with contemporary style is the leather interior to heighten the quality and craftsmanship for the Land Rover Range Rover Enjoy the drive without worrying about directions thanks to the built-in navigation system. Beautiful exterior. Clean interior. This Land Rover Range Rover is so immaculate it is practically new. More information about the 2010 Land Rover Range Rover: The Range Rover has long been the king of luxury sport-utility vehicles, and for 2010 it becomes even better focused toward its dual tasks--a prestige luxury feel and off-road prowess. New engines, combined with a revised Terrain Response system, should help provide better performance than most other vehicles in this class on- or off-road, while thanks to a number of interior improvements the Range Rover's cabin now looks and feels contemporary yet exclusive. Prices can easily exceed the $100k mark for the Supercharged models, but there's no other vehicle in this class that so blends top technology and refinement with a uniquely British--or Land Rover--look and feel. This model sets itself apart with Off-road prowess, excellent ride quality, acceleration and braking, high-tech safety and convenience features, lavish interior, and opportunity for customization WWW.GREENWOODAUTOMOTIVE.COM for all Photos Our Dealer Handling fee of $499 is included in our advertised price. Government fee's and licensing are additional costs. For best service and to check availability or to set an appointment to see and drive call Steve direct at 720-339-1516 or Marc at 303-552-7909 For more information. FINANCING AVAILABLE. TRADES WELCOME. *VEHICLE IS FULLY INSPECTED BY OUR MECHANIC. We are located 4 Blocks West of I-25 on North side Of Arapahoe, Behind US Bank at Syracuse St.